First, check out my free GMAT e-book: Master the GMAT by Brian McElroy, and r/GMATpreparation, a "subreddit" I have created on the Reddit website to easily share free GMAT information. 1) Go to the MBA.com website and download the free GMATPrep software. This online software contains the only 2 real CATs (computer adaptive tests) that are freely made available to the public. After familiarizing yourself with the software using the Test Preview tool, take the first of the two practice tests. This is your baseline score. If your initial score is low, don’t worry—you haven’t started preparing yet. If for some reason you’re not yet comfortable taking the first practice test, then switch steps #2 and #1. Save the other GMAT test and take it as your final practice test shortly before your test date. When writing the "analyze an argument" essay, please be warned that the GMAT Prep software has a bad reputation for swallowing up test-takers' essays--the software is a bit clunky, and for some reason, after you write and submit your essay in the software, the essay will disappear, never to be seen again. Thus, I strongly recommend that you write your essays on an outside word processor where your work can be saved as a backup, or at least make sure to cut-and-paste the text of your essay into a text document when you are done. If you have a little extra money to spend (GMAT prep is not cheap), then you should also strongly consider purchasing the GMATPrep Exam Pack 1 and the GMATPrep Exam Pack 2 for an additional $50 each (or save 10 bucks by buying the Exam Pack Bundle). These contain four more official GMAT practice tests, giving you six real tests to work with instead of just two. While you're at it, you should also strongly consider buying the GMATPrep Question Pack 1 for an additional $30, which will give you plenty of questions you can practice on your computer, instead of just in a book (remember, the GMAT is a computer test and as such you should spend much of your time looking at questions on a screen). 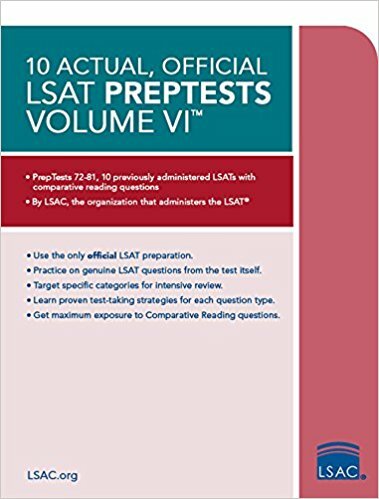 You can view all of those products in one place (now being rebranded as "GMAT Official Practice Exams and Questions") here. Speaking of iPads, there is also an official app for GMAT: the GMAT Review Mobile App. For $5, it gives you a measly 50 questions, but for another $30, you get access to 800 more questions. If you travel a lot, then it's nice to have a bunch of practice questions right there on your phone or tablet. Yes, these materials from the test maker are on the pricey side. However, Official GMAT tests are invaluable, because although there are some companies out there who write realistic imitations of GMAT questions, they can never quite match the idiosyncratic nature of real GMATs. Moreover, only the GMAC has access to the precise algorithms that determine your actual GMAT score. Tests from other companies are fine for practice, and necessary in many ways, but the only scores you can fully trust are these official tests from the test maker. If you do in fact purchase the Exam Pack 1, then you could take the 6 tests at evenly spaced intervals throughout your preparation, which would provide you with twice as much information about your progress. Avoid the temptation to take all of these tests early in your prep, for the reasons discussed above. Pro tip: You can take each of the 6 GMAT Prep CATs more than once, because the GMAT is an adaptive test (it adjusts the difficulty level of later questions based on your previous responses). There are about 4 to 16 times as many questions in the GMAC's question pool as there are in any given test, which means that every test you take will be different. Tests 1 and 2 draw from a (gigantic!) pool of about 1,500 questions, and tests 3, 4, 5, and 6 draw from a more modest pool of about 400 questions each. To re-take your GMAT Prep tests, click "reset" in the lower-left hand corner of the GMAT Prep software window, but make sure to take screenshots of your previous test sessions beforehand--frequent screenshots are a good idea anyway because the software is prone to crashing and losing your data. For your screenshots, use either the "Print Screen" (Windows Key + PrtScn) button on a PC or (Shift + Command + 3) on a Mac. Thus, the 6 official CATs can easily turn into 12 or more CATs if necessary. 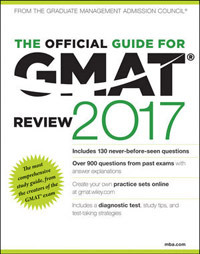 2) Purchase one, preferably two copies (the second copy should be left blank) of the 2018 Official Guide to the GMAT or--even better--the GMAT 2018 Official Guide Bundle, which includes the Quantitative and Verbal Review Guides (you can also read my exhaustive customer review of the Bundle, which is currently the first one on top). The Official Guide (OG) will become your new best friend: it contains over 900 practice problems and a diagnostic test, as well as free online access to copies of the questions through the (included) Wiley Online Question Bank. In addition, purchase a (print or digital) copy of Brandon Royal's Ace the GMAT: Master the GMAT in 40 Days, which will serve as your GMAT strategy guide and study plan. You will also find helpful free introductory materials on the web, on sites like GMAT Club and Economist GMAT. Start working through these books from front to back. If you get stuck on something, then just mark the page and move on. The idea is to get yourself familiarized with the test as much as you can before you start taking a class or working with a private tutor. Don’t worry about timing yourself just yet, but you might want to record how long each question takes you. You get around 2 minutes per quantitative question, and 1.5 minutes per verbal question. In addition, you can use this modified GMAT Club spreadsheet to help organize your studies by topic, and for helpful links to question explanations. As an alternative to the physical books, feel free to purchase the Kindle versions of the Official Guides--they are quick, convenient and environmentally friendly, and they work on nearly any device with a screen. For some reason, you must buy the books separately (not as a bundle) to access the Kindle versions. You can buy the Quant Guide separately here, and the Verbal Guide separately here. 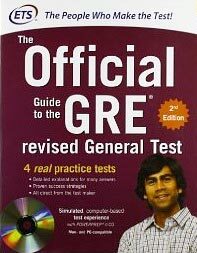 One aspect of these books that you must understand is that they are not meant to teach you GMAT test-taking strategy. For that, look elsewhere, such as Manhattan Prep, or to your classroom teacher / private tutor (scroll to the bottom of my detailed review of the 2017 GMAT Official Guide Bundle on Amazon for a full list of links to my recommended GMAT strategy guides). 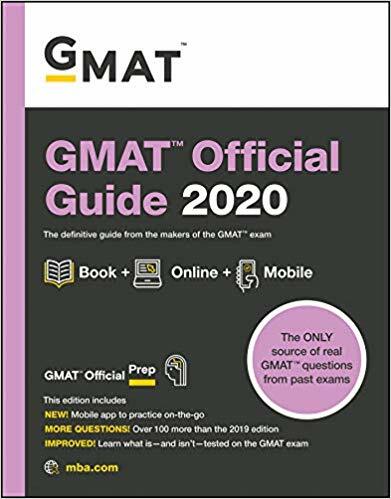 However, the GMAT Official Guides include some of the very best practice materials available, straight from the test-maker, and although the answer explanations are often convoluted, they are still useful in understanding how the GMAC thinks. Don't waste your time and money practicing on questions made by any other companies--these are merely inferior imitations of the real thing. If you must use other materials for test strategy, then that's fine, and in most cases necessary, but try your best to stick to official questions whenever possible. 3) Set a score goal. My students' GMAT student improvements are usually around 50-150 points, given time for sufficient preparation and dependent on the student’s starting score. To state the obvious: the higher your starting score, the fewer points improvement you can expect. IR and Essay improvements are more difficult to predict, but are usually around 1-2 points. Check out this chart that shows you how GMAT Math and Verbal scores combine to produce a composite score. 4) Utilize free online resources such as Reddit, GMAT Club , GMAT Quantum Free Math Videos , GMATPrepNow, and Magoosh. All of these companies also offer paid options for video learning and practice: Quantum (math only) is $89 for 1 month, $169 for 3 months. GMATPrepNow is $58 for 3 weeks and $88 for 6 months. Magoosh is about $150, $100 when there is a promotion. In general, the online forums such as GMAT Club are a great resource for quick question explanations-- a simple google search for the text of your question will usually yield great results in a short amount of time--but sometimes a video explanation can work even better. Be careful when trying to learn by video exclusively, however. It is important to understand that video learning is often not the best type of learning. It's easy to watch a video, of course, but it often doesn't lead to great retention and test-taking awareness. Working on practice questions, reviewing them, putting them aside for 7-10 days to forget the details, then reworking the ones you got wrong until you have fixed your mistakes is much more valuable than passive study. 5) If you need lots of remedial help, or if you haven’t taken a college math class in a long time, then it might make sense to take a GMAT classroom course, such as the ones at UCSD, where I am currently an instructor. But don’t overpay for an “elite” course — most of these courses are the same, are taught by relatively inexperienced teachers, and focus on basic content and strategies. Instead, save your money for a qualified private tutor later on in the process. 6) If you can afford it, find a GMAT tutor and schedule some lessons. If you are willing to be tutored via Skype or another online tool, or if want an in-person tutor and you are located in the San Diego area, then you should consider working with me! Before purchasing time me or any other GMAT tutor, I would strongly suggest that you first schedule a phone consultation to discuss strategies and scheduling. 8) When you’re ready, decide on a test date and register for your GMAT. 9) Take periodic practice CATs in the lead-up to the actual GMAT. I recommend that you take at least 8 CATs total. So if you are preparing for 24 weeks, for example, then you should take a full practice test every 3 weeks. 10) You’re ready. Good luck! Get detailed directions to the test center and get there ahead of time. Be prepared and remember that you will get your verbal and quant scores (although not your essay score) immediately after the test. After viewing your scores, you will be given the option to either cancel or report your score (if you choose to report your score but later change your mind, you can also choose to cancel online within 72 hours of your test date). 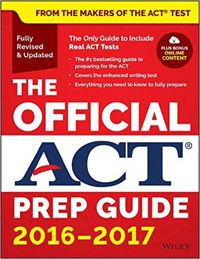 If you choose to report your score at the test center, then you will be given a printout with your "unofficial" score and your score will become official 72 hours later. If it doesn't go well the first time, then remember that most students do better the second time they take the GMAT. Update 7/16/15: if you do choose to cancel your score, then you no longer have to worry about the dreaded "C" showing up on your score report: the GMAT has discontinued this policy. You will also be allowed to retake the test after a 16-day time period, and you can take the GMAT up to five times per year. 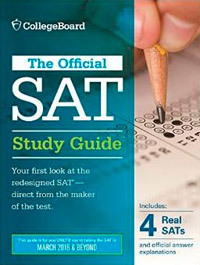 Don’t forget that the test itself costs $250. There are fee waivers available for those who qualify. The best way to prep for the GMAT is simple on its face, yet complex in its execution. On the face, it’s simple: work through the Official Guides, the Question Packs, the Exam Packs and the Math/Verbal Guides from front to back. Take all 6 Manhattan CATs. Practice whenever you get a chance, and vary between timed and untimed exercises. Try 40 questions at a time--that's the average length of one section on the GMAT. However, the question is exactly *how* to work your way through the books and other materials. The issue is that *understanding* the correct answer is not the same as being able to execute the question from scratch and find the correct answer. The same applies to learning vocabulary, for example. Just because you’re looking at the definition of a word, and you know its meaning in the moment, doesn’t mean that you’ll be able to access its definition under real test conditions. As the saying goes, “everything is obvious once you know the answer.” Of course you think you know the meaning to a word in the moment that you’re reading the definition. It’s only when the answer is taken away, and we are given time to reset our short-term memory, that we can truly determine our level of understanding. - 2:1 ratio: You should spend at least two hours on homework for every one hour you spend with your tutor. Ideally, the ratio is closer to 3:1. That means, for example, that if you buy a 25-hour package with me, that you will be spending at least 75 hours on self-study, which of course adds up to 100 hours of preparation. I have found that my students' GMAT scores will continue to improve past 100 hours of prep, but you will likely see diminishing returns after that point. -Vary the length of time that you study and work on practice questions. Sometimes you might study for 2 hours, sometimes for 1 hour, sometimes for 30 minutes and maybe even just for 15. -Make sure to take a full CAT at least once a month to track your progress. Good luck! The GMAT is a very difficult test but it can be conquered, and even mastered, with perseverance and the right guidance. You may also find it helpful to read my GMAT Informational Document and my free e-book, Master the GMAT (also linked above), as well as my GMAT Test-Day Tips and my AMA on Reddit. In addition, feel free to read my some of my articles on GMAT Club.